These stylish and versatile garments are so adaptable. 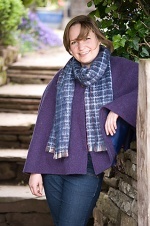 Perfect for walking,shopping,or as a fashion item with trousers and boots, as an extra layer over a smart outfit or for shooting or fishing to keep out the wind and cold. 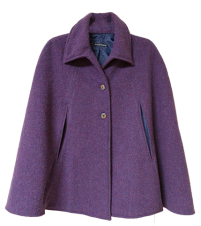 One opensided with a collar that may be worn up or turned down, with two horn toggles. In one free size 39inch length. 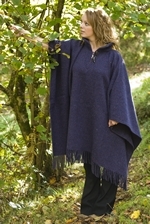 This garment is in pure Shetland Wool. 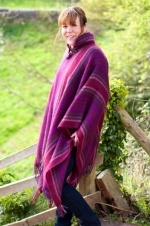 Ruby Poncho is in 70% Mohair and 30% Lambswool with horn toggles. In a rich ruby colour with fine overstripes in jewel shades. All finished with multi coloured rolled fringes.